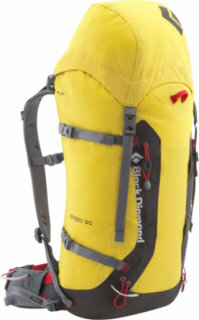 Black Diamond’s Speed Pack 30L was the perfect pack for my AMGA Alpine Guide Course, which included one-day “fast and light” ascents of alpine rock/snow in the Rocky Mountain National Park this Spring. The Speed Pack’s integrated hydration system was key and enabled me to stay hydrated while constantly on the move. Although I’ll admit that I did not quite “on-sight” how to attach ice tools on the pack initially, the Speed Pack’s IceLink tool attachments system is quite clever. Once you “red-point” the system for attaching the tools, they come on and off easily and eliminate slippage of tools from the pack. If 2 lb 11 oz (Size S) is not light enough, you can also strip the Speed Pack’s padded hip belt, aluminum frame & frame sheet and top lid to make it an ultra-light summit pack. The pack’s SwingArm suspension shoulder straps took a little bit to get used to – in a good way. The Speed Pack’s back support system moves with you, whether swinging a tool, scrambling, or technical rock climbing, the pack suspension adjusts to your movements. I’ve never had such a reactive and un-cumbersome pack! Although many packs claim to have an active suspension system, the Speed Pack actually does something and you notice it right away! If you do not like the suspension system on your first date with the pack, I suggest giving anther try – you will grow to like it! I have been using the pack since June. Now in July, we still have tons of snow left in the RMNP and the Speed Pack has been with me on every alpine ascent! Thanks Black Diamond for a comfortable and light alpine pack! 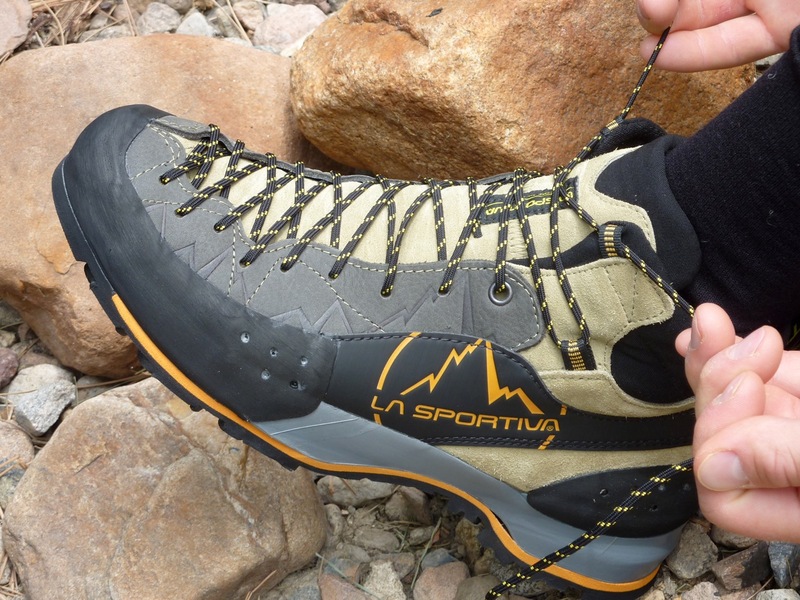 My pair of La Sportiva TC Pros are just getting “broken in”, just beginning to mold to my feet. Initially they felt a little boxy to me, kind of big and stiff compared to the shoes I had been wearing. Soon however, I became a believer. Even during the break-in period I have used them to onsight 5.11d thin granite face/edge climbing, guide sandstone classics up to seven pitches long and smear confidently on gneiss sport climbs. I also wore them on steep basalt during a recent road trip. Heck, I even bouldered with them in the gym! In every situation they have performed flawlessly, fostering confidence and good footwork. No surprise that they edge like demons, what did surprise me was how well they smeared, which is extremely well. Though they are not the most sensitive shoes I have worn, I never question them; they stick. I only expect greater things now that I have entered the comfort zone with them. I can’t wait for the alpine rock season to begin in earnest in Rocky Mountain National Park, as the TC Pros are going to be awesome on the Diamond and everything else up there. I’m also psyched to have these as my go to shoes later this summer in Squamish. The shoes are still like new, rubber and all, and as mentioned my feet are just now feeling like the TC Pros and they have a real relationship. I think it is going to be a long and beautiful one. 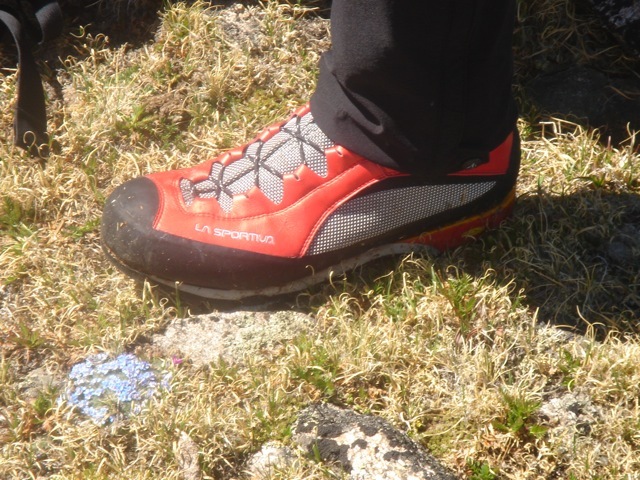 "I have had numerous pairs of La Sportiva approach shoes. The Ganda Guide, is by far the most technical. This shoe is similar to the Ganda, but in a high top version and comes with a roomier toe box for long approaches. So far, the shoe has great support when carrying a heavy pack on fourth and easy fifth class terrain. It features a full length lace system right down to the toes for micro adjustments in tightness. 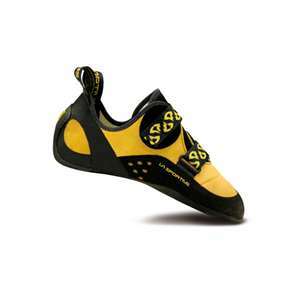 The shoes utilize Vibram Idro-Grip for ultra stickiness with a slip lasted forefoot and board lasted heel. For how beefy the shoe is, it basically climbs like a rock shoe. I have been able to lead up to 5.9 and follow 5.10 in these shoes. They climb great and are comfortable enough for long approaches. I suspect that these will hold up to seasons of guiding abuse and see many resoles!" I love my new Trango S Evo GTX boots! I just used them for a work assignment, guiding the Keyhole on Longs Peak. 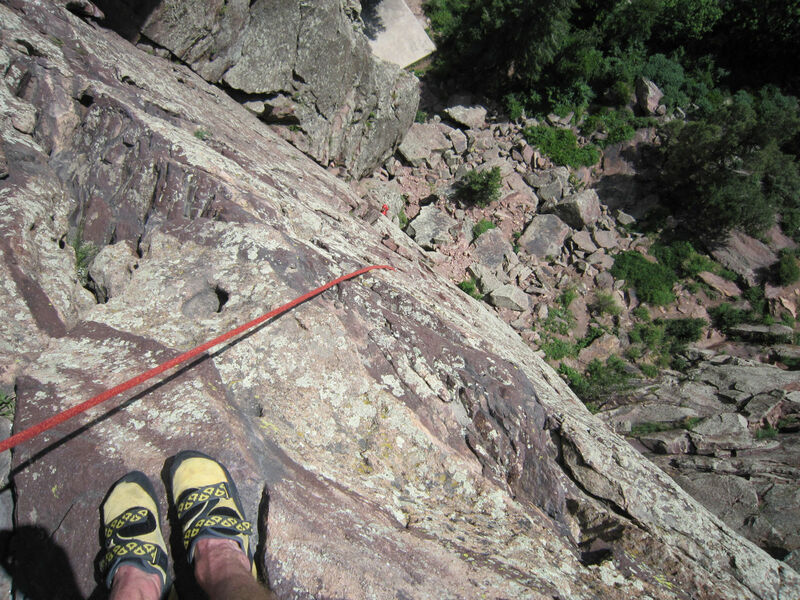 The Trango Evos are the perfect boot for this type of climb in spring. The boots were comfortable from start to finish, worked well on the dry trail at the start and worked even better when I got to the snow shortly thereafter. 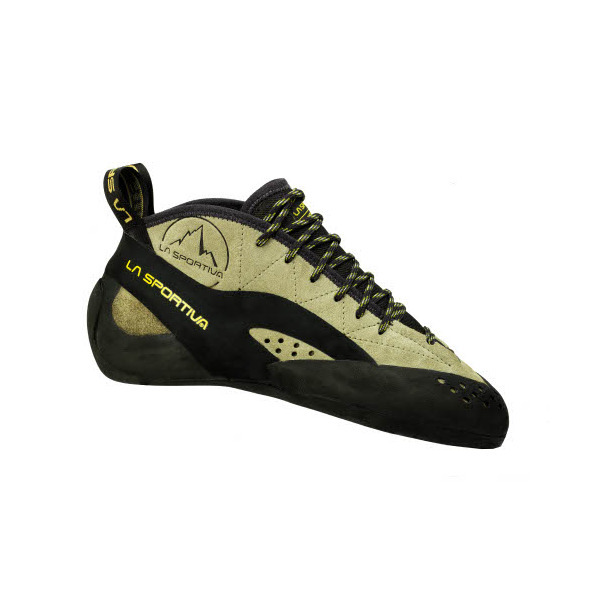 The strong and durable lug sole assisted me with kicking perfect steps for my clients, and with the sticky sole I was confident of being surefooted when rock climbing and boulder hopping. 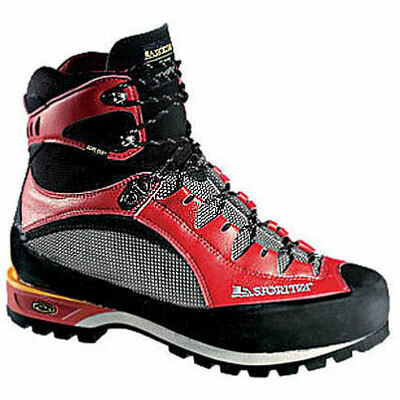 The transition to crampons higher on the route was quick and easy with the crampon compatibility (TPU crampon reinforcement), and the boots worked almost as well as an ice climbing boot for climbing snow and ice. Oh yeah, it's as light as a tennis shoe and my feet felt great after the sixteen mile round trip - this boot does it all if it's not too cold! 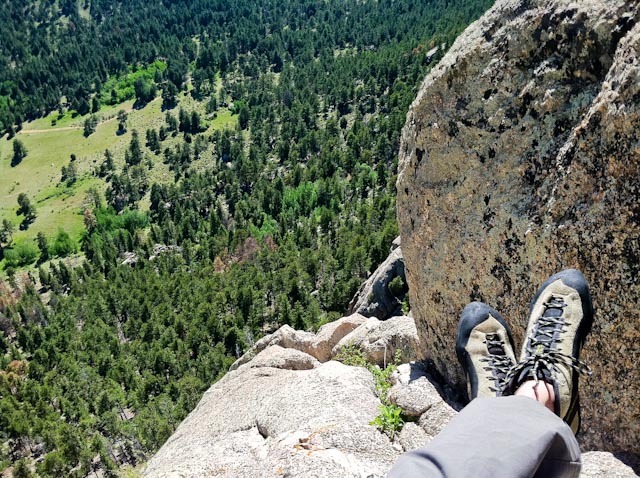 I have been wearing the Revo Abyss sunglasses throughout the last weeks’ fantastically diverse spring season -- rock climbing and trail running in the Front Range, and alpine ice climbing and backcountry skiing in the high mountains. We Coloradans are truly lucky to get the best of both worlds right now! When CMS asked me to test the Revo Abyss sunglasses, I was a little skeptical. I thought, “They won’t fit on my tiny Asian nose!” Impressively, though, the Revo Abyss have been my “go to” sunglasses everyday during the last 3 weeks, across all these varied activities. And, maybe more importantly, I may have finally discovered active and functional sunglasses that aren’t just for boys – and that fit my Asian nose! *** Hooray! The Revo Abyss sunglasses have curved lenses that nicely wrap around your eyes and face, shielding reflection and sun from the sides. The Abyss work exceptionally well on snow and rock as their Polarcast Polarization Technology eliminates glare. While climbing steep snow and alpine ice, I noticed that the Abyss had great downward vision and allowed me to focus on my footing as I climbed. Most importantly, the view of the world through Abyss has been stunning. I have seen beautiful snow filled mountains and ridges in Rocky Mountain National Park, red and yellow color rock in Eldorado Canyon, and beautiful snowflakes that land on my jacket. I can see them all sharply and clearly! Bottom line: The Revo Abyss are great shades for getting out and getting after it in the mountains. And did I mention they fit an Asian nose? Thanks Revo!!! ***Please note that you do not need an Asian nose to wear these glasses. I am sure it fits you fine.